This is the third interview as part of promoting people who have made achievements in digital world. 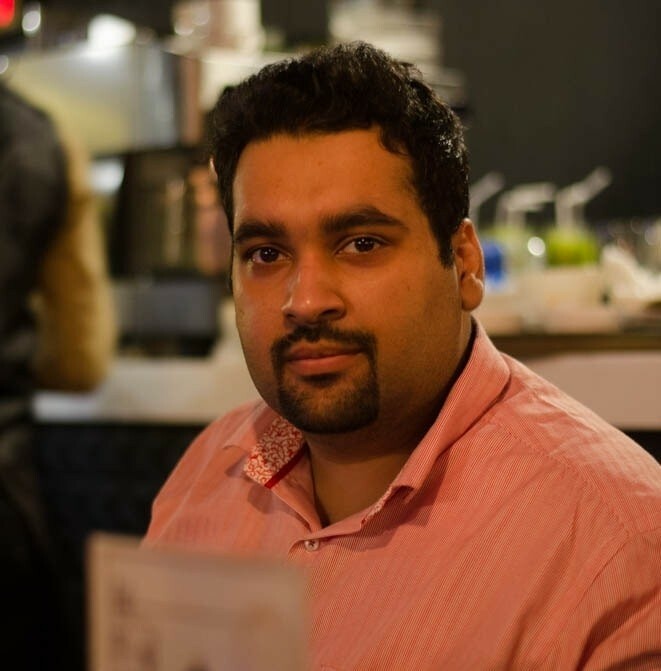 Today, I’m going to interview, Russell Lobo who is a niche site maker and i came to know about him through his 100,000 words challenge story. In this interview, I will try to ask him about his success story and will learn key tactics which we can follow for learning and improving ourselves. I’m Russell Lobo, the niche site guy. I started creating niche sites in 2015 and now earn a full time income from my niche sites. You can reach me at www.russlobo.com. 1.1 Question : What do u do exactly? 1.2 Question : How do you manage multiple businesses effectively? 1.3 Question : I heard about your 100,000 words challenge? Can you explain more on it? 1.4 Question : What was the turning point in your life that made you an Internet Entrepreneur? 1.5 Question : Currently how much you are earning at the moment? 1.6 Question : If you go back 15 years from now, would you like to change anything in yourself? 1.7 Question : Where do you see yourself after 10 years? 1.8 Who is your source of motivation? 1.9 What is your greatest accomplishment so far? 1.10 Tell me one thing u regret u have done in your life. Welcome Russell for the interview. This is going to be a short and quick interview from him. Question : What do u do exactly? Me: That’s great that you are managing so much things together. Question : How do you manage multiple businesses effectively? Answer: I only focus on keyword research, setting up systems and strategy. I then employ people whom I train. Once a week I check their work. This way I am free to manage multiple businesses without burning out. Me : Outsourcing and expanding should be a key if you want to grow well, this way you also learn on how to manage people effectively. Question : I heard about your 100,000 words challenge? Can you explain more on it? Answer : In 2016, I got inspired to write 100,000 words in one month. I used a strategy wherein I would research keywords in batches, then write 1,000 word articles on it. I worked for 30 days non-stop and was successful to complete 100,000 words in one month. That site later went on to be a 18,000+ article website which I sold in early 2018 for six figures. Me: Thats great achievement, writing 100,000 words is a huge thing and then making it an 18000+ articles website is something i can still dream, even after being years in this field. Question : What was the turning point in your life that made you an Internet Entrepreneur? Answer : I used to work in eCommerce in Pricing Analytics in London from 2007 to 2009. I realized that having your own business will give me the location and income independence so I set up my social media agency in 2009. Me: Aww, I see that. Question : Currently how much you are earning at the moment? Answer : I earn in the mid five figures every month. This income comes from multiple sources. Interest and dividend on my investments from the sale of my website, amazon affiliate income, adsense income, lead gen income, income from my content writing and link building business, etc. Me: It’s good that you have diversified your income to multiple sources, as being said, never put all your eggs in one basket, it’s a great strategy but doesn’t work well with everyone. Question : If you go back 15 years from now, would you like to change anything in yourself? Answer : Not really, I am what I am due to the mistakes I made. Question : Where do you see yourself after 10 years? Answer : I expect to convert my website www.russlobo.com into a one-stop shop for niche site owners. I expect to have 2-3 authority sites giving me a total of six figures in a year passive income. Me: Thats great, I also believe personal branding is the key, so I also emphasize on empowering Russlobo.com. Answer : My wife is my source of motivation. She inspires me to keep improving in my life, both personally and professionally. Answer : Creating an 18,000 article website which I sold for six figures. Me: I still can’t believe this. 18,000 articles in just one site is a sort of a dream. Answer : Nothing, every mistake was a learning experience. Me: Thats a very good answer. Answer : I have helped a lot of people start their niche sites many of whom are earning a full time income online. Me: I believe that if you help someone, some one else will help you the same way or other way. It’s like do good and have good, so thats great to know. Answer : Direct your content to be more international. You have an amazing presence and an excellent level of knowledge, leverage it to get more international exposure. Me: I have tried to produce international content this year over this blog, however i feel like there is still room for improvement. Thanks for pointing out, i appreciate. Answer : Starting a niche site is like planting a fruit tree. It make take years for the tree to give fruits but once it does, you can be sure to get fruits every year with minimum effort. Have patience and don’t look for shortcuts. Build a network in your niche. Me: Thats a very great tip, fully agreed with your statement. 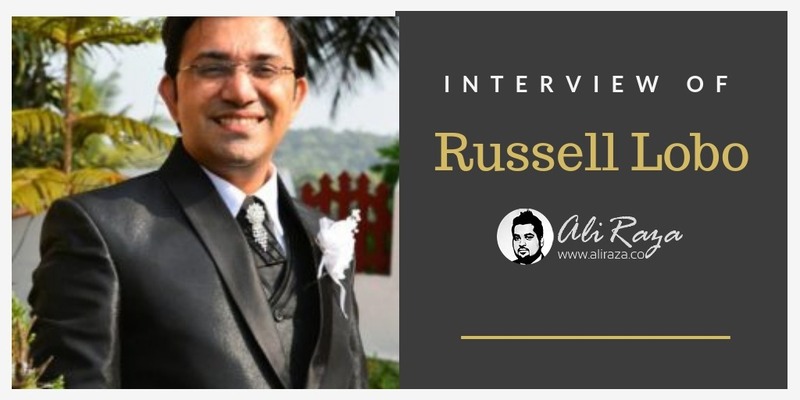 Thank you so much Russell for your words and time, each and every line has a strong meaning and advice for starters and those who are always looking to keep on learning. I wish you a best of success in your ventures, Good luck. If any one want to share feedback, please do comment below. That’s a really Nice Interview. I learned a few things from this. 1. Keywords Research is the key in SEO. 3. Always look at the big picture. There could be more things as well that I could learn from this, as my brain is not yet ready to grab all at once. I will read once again later to get more out of this. And yes, I am also stunned as well by hearing about that 18000+ Articles website. I am now like “WOW”. One more thing, The answer to the question,”Tell me one thing u regret u have done in your life.” was really great one. Inspired from that. Thanks for such a nice interview! Hope you will keep doing more IA. Thanks for such a great feedback. 18000 contents in a single site. Thats really hard if u don’t have patience. Want to know the average word limit in each content. Selling a site in six figure is a great news. Enjoyed the interview. Thank Ali and great thanks Russell. You are really awesome. Waiting some tips on Keyword research from you. Enjoyed the interview. Want to read this kind of interview regularly.